According to reports from the World Health Organization, the world is seven million healthcare professionals short. What does this mean? Healthcare workers are an extremely limited resource. Any trained medical professional is welcome in almost any country in the world outside of the west. This presents an incredible opportunity for Christ following medical professionals to go to the medically underserved, those in closed countries, and unreached people groups. Medicine is one of the only professions today that missionaries can have that gives them an open door to reach the unreachable. Global healthcare transformation occurs when Christ-following medical professionals create relationships and provide compassionate care in Christ’s name that gives them the opportunity to share Jesus with a hurting world. 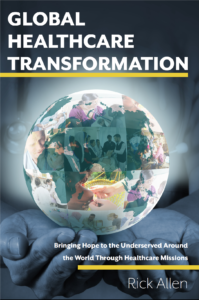 There are three groups of people who are the intended audience of Global Healthcare Transformation: the medically underserved, those in closed countries, and unreached people. The medically underserved. The World Health Organization states that 1.5 billion people in the world are medically underserved. People who live in parts of the world where the supply of medical professionals is critically low. According to the World Bank, in many countries in Africa there is just one surgeon for every 250,000 people. The need is dire. Closed countries. These are countries that do not allow missionaries in and are often very closed to most professionals. The Voice of the Martyrs indicates that 3.3 Billion currently live in countries that are “Closed” to any form of Christian witness. These countries are even becoming less receptive to english language teachers and often only allow medical professionals. Unreached people. According to the Joshua Project, 3.1 billion people in the world remain in a category of “unreached” with the good news of the Gospel. These people live in regions where there is no translation of the Bible and there is no one sharing the Good News. For example, China is an ‘open’ country but there are many rural areas that are difficult to access where no Christian witness has ever set foot. It is believed that about one billion people live in regions of the world that include all three criteria. 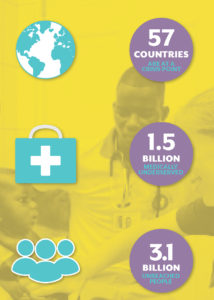 The unique position of healthcare missions is that where these areas overlap, medicine can serve as the key to unlock access. 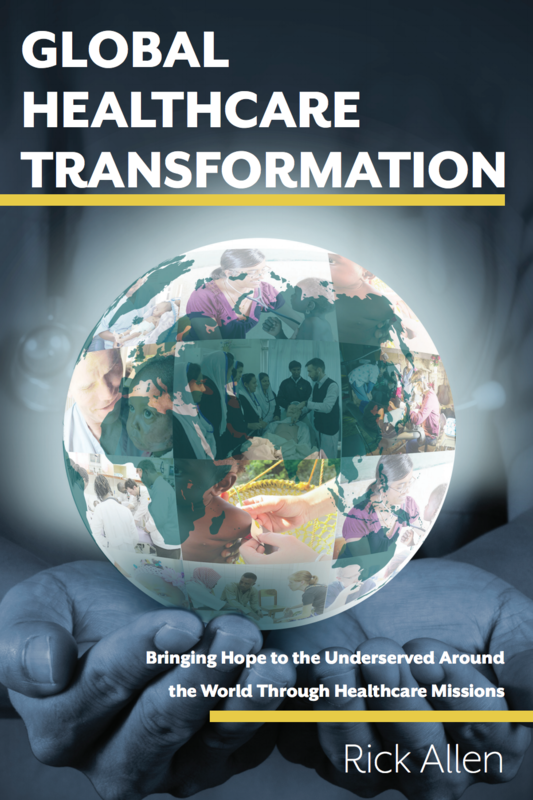 To learn more about how healthcare missions is bringing hope to the unreached and underserved, download the paper by MedSend CEO Rick Allen, Global Healthcare Transformation.